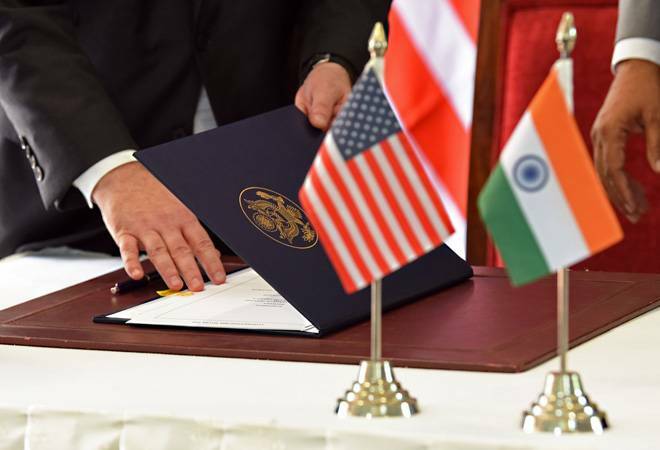 The Communications Compatibility and Security Agreement (COMCASA), which paves the way for transfer of communication security equipment from the US to India, was signed after the first 2+2 dialogue between the two countries last year. Under this pact, the first-ever secure communication link between the Indian Naval Headquarters and the US Central as well as Pacific Naval Commands was recently set up by a visiting US team. This will give India access to the latest US naval intelligence. With COMCASA in place, India will not only be able to obtain critical defence technologies from the US but also gain access to critical communication network of the US armed forces and real-time American intelligence. According to a report in The Economic Times, the US has now also activated the Selective Availability Anti-Spoofing Module GPS system in some of the Indian Air Force’s C-130 and C-17 transport aircraft. The two upgrades will allow both sides to share real-time operational intelligence. Before the agreement was signed, these American aircraft – or any other military US-origin platforms – purchased by India lacked such secured communication gear because the US said it could not part with the encryption codes. As a result, India hitherto had to depend on commercially available, less secure systems on otherwise high-end platforms, including the P8I maritime surveillance aircraft. COMCASA does away with all these restrictions and enables access to critical and encrypted defence technologies from the US. The latter has reportedly also assured India that it will ensure availability of the equipment covered by the pact at all times and keep them operational. The sources added that the choice to upgrade would rest with India, instead of being wholly-determined by the US. India has also been assured that the US will not share data from Indian platforms with another country, nor access such data without prior permission.